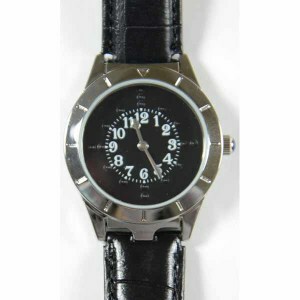 A casual style with a black face, silver case and black leather wrist band. Great for stepping out with some style. This watch has a 1.2 inch diameter face, watch case is 1.5 inches wide. The watch face (crystal) opens at the 6 o'clock mark.